Friday and Saturday 10 – 5 p.m. Exploring a range of themes including ideas about home, protection, memory, communication and childhood, the graduates of CIT Crawford College of Art and Design Art Textile Special Purpose Award have put together an exciting body of work which will go on display in The Gallery at No 46 on Wednesday 13th June. Using materials such as paper, felt, and wire these students investigated a broad range of themes and ideas impacting our modern lives. 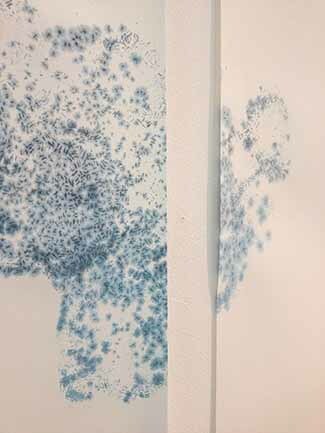 Non-verbal communication within autism, emigration, the erosion of normal childhood experiences by technology, nature, science and spirituality, and the concept of home and human nature have all been developed into an exhibition of exciting and eclectic art. 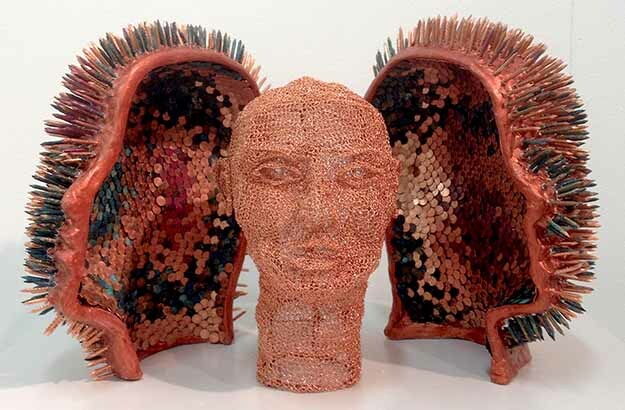 Techniques such as felt, wire sculpture, paper-making, weave, stitch, and eco-dyeing have been exploited to their fullest extent in the development of these themes and ideas. The graduate students are Catherine Coutin, Bernie Hennessy, Sally Hewetson, Marge Kiniry, Pauline Kiernan, and Fiona Ladden Loughlin. 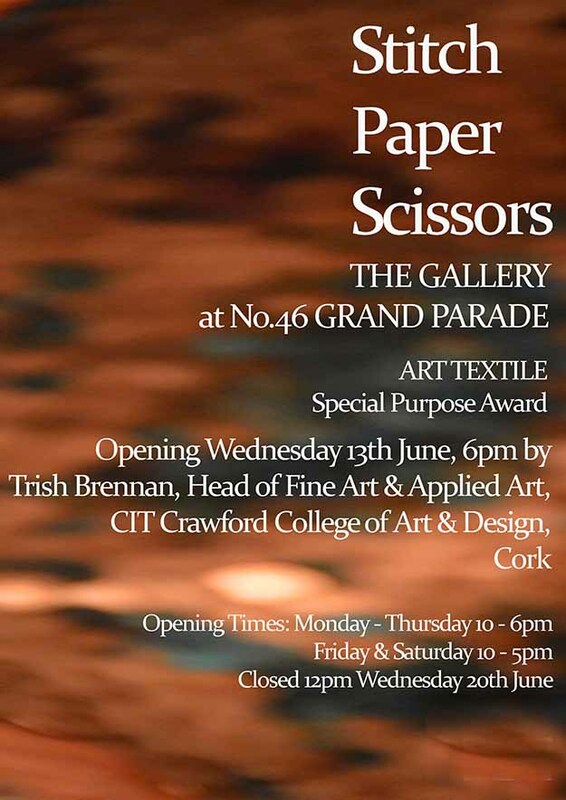 Trish Brennan, Head of Department of Fine Art & Applied Art will open the Exhibition, and all are welcome. 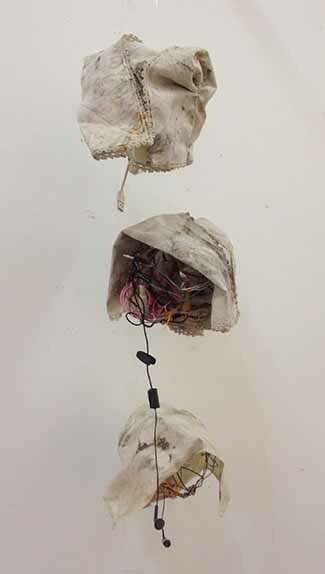 On Saturday 16th June, artists will talk about their work (1pm to 2pm) in the Gallery – no booking is required.